Dali announces move into hi-res multi-room arena | What Hi-Fi? 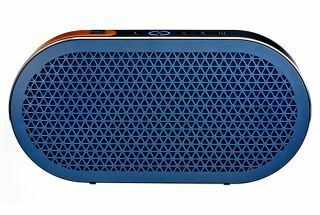 The speaker manufacturer is teaming up with Lenbrook International to make a new wireless speaker that uses Lenbrook's BluOS hi-res multi-room platform. Dali has already made the Katch and Kubik Free wireless speakers, and next comes… a multi-room system of some kind. Dali has confirmed that it's working on a new "wireless-speaker solution" and that it will use Lenbrook International's hi-res multi-room platform BluOS. But that's all the company is prepared to say at the moment. In its announcement, Dali says that BluOS will be "an extension of its upcoming wireless speaker solution", and that the move "marks Dali's entrance into the growing multi-room streaming category". Why BluOS? According to Dali's MD Lars Worre, the company's "performance values" led it to BluOS, as the platform has earned "an enviable reputation as a world leader in this space". The platform also gives Dali's customers "enhanced flexibility", Worre added. BluOS is brand-agnostic, so any BluOS-compatible device can connect to the same wi-fi network and share music libraries and playlists. It also happens to be the streaming engine for Bluesound's Award-winning range of multi-room speakers. Both Dali and Lenbrook International talk up the importance of high-res audio for their customers, so we could see a high-resolution take on a Sonos-style system touch down soon. We'll keep you posted.